oty Petrovits-Andrutsopulou was born in Athens, on 12 August 1937. She has studied music, foreign languages and literature. While working for bread winning (1958-1984) with the International Organization for Migration (http://greece.iom.int/en/iom-mission and https://www.youtube.com/watch?v=5hCBz4Xt0JI), she made her debut in children's literature in 1973. Up to now she has written 70 books, including 62 for young people, ranging from tales of fantasy to novels on contemporary issues, three books for adults and five about children's literature. Also she has illustrated several books with collages (the decoration of this site has been based on one of her illustrations). Her daily contact for many years with social problems, uprooted or homeless people, war victims, and especially children in need, as well as her own tragic experiences as a child during World War II became a well of inspiration for many of her books. Actually, empathy for those suffering, profound humanity, international understanding, care for children throughout the world, are elements that can easily be traced in the whole body of her work, even in those books of hers where humour prevails. In 1975, her acquaintance with IBBY's achievements (http://www.ibby.org) and Jella Lepman's dream for a book-bridge building impressed her deeply and decisively. She immediately joined the Greek Section (http://www.greekibby.gr) and devoted herself to its scope for more than 30 years, first as a simple member, then as a member of the Section's Administrative Board, as Secretary General and as President (from 2000 to 2008). 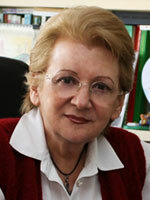 In May 2009 she was nominated Honorary President of IBBY Greece, by its General Assembly. Loty Petrovits's work was soon and broadly recognized in her country. She has been awarded five honorary plaques, three honorary diplomas and fourteen national awards including the 1984 Academy of Athens Award, the highest literary award for a children's writer in Greece, as well as the 1999 and 2009 State Prize for children's literature. In 1989, her book Spiti yia Pende (A House for Five) was included in the Honor List of PIER PAOLO VERGERIO European Prize for children's literature of the University of Padova. Her novel Lathos, Kyrie Neuger! (Wrong, Mr. Neuger!) was included in the 1992 IBBY Honor List.She has been nominated twice as the Greek candidate for the Hans Christian Andersen Author's Award 1994 and 2010. In 2014 she was nominated candidate for The Astrid Lindgren Memorial Award 2015 by a foreign nominator. However, as Loty Petrovits often declares, the most precious prize for her is the warm acceptance of her books by children themselves. Indeed, she receives hundreds of letters from her young readers. and is welcome with real enthusiasm when very often invited to schools all over the country or other meet-the-author events. Her books have been published in numerous editions and have sold more than 1.000.000 copies, a high number in a country of 10 million people, of whom children up to 14 are approximately 2 million. 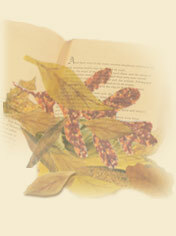 Works of Loty Petrovits are featured in anthologies and text books, have been broadcast and serialized for the TV in Greece and Cyprus. Stories of hers have appeared in various children's magazines in Greece and other countries. Two of her books have been translated into Japanese and one into Korean. A story of hers appeared in Cricket, the magazine for children translated into English. An English translation of some more stories of hers appeared in the magazine Helios, and some others, translated into Albanian, appeared in the children's magazine The little mermaid in Tirana. On the other hand, she has translated several books into Greek. Loty Petrovits has published five books about children's literature and many articles in Greek and foreign journals (in English, Spanish, Russian, Italian and Hebrew). She is co-founder and co-editor of the Greek quarterly Diadromes about children's literature, and was associate editor for Greece of IBBY's magazine Bookbird, from 1982 to 2004. From 1981 to 1988 she was editorial correspondent of Phaedrus International Annual of Children's Literature Research. From 1979 to 1981 she was co-editor of Helidonia, a children's magazine published by the Ministry of Education. As a leading personality of children's literature in her country, Loty Petrovits has represented Greece in many national and international conferences on books for children, including IBBY Congresses from 1976 to 2002. In September 1998 she was elected member of the IBBY Executive Committee 1998-2000, and was re-elected for two more years in September 2000. She was also elected President of the Jury for the IBBY-Asahi Reading Promotion Award 2002, 2003. In 2014, the E.C. of IBBY conferred on her Honorary Membership in gratitude and in recognition of her outstanding contribution to the development of IBBY. Loty Petrovits is also member of various other cultural societies, such as the Women's Literary Association, the National Society of Greek Authors, the Greek Society of Translators, etc. She lives in Athens, Greece, with her husband. They have a daughter (http://www.androutsopoulou.gr), a son (http://www.aueb.gr/users/ion/) and a granddaughter.